My Turn on Bonnie Christine's Succulence Blog Tour! My day is here! 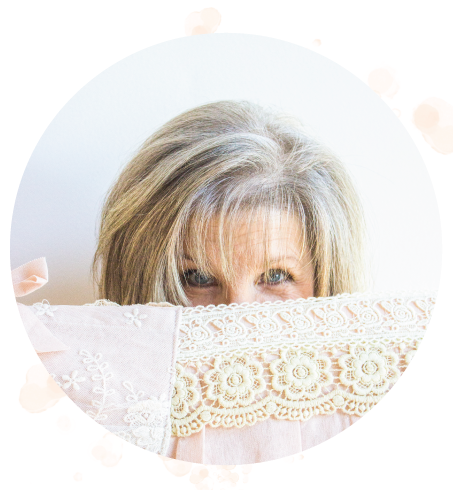 I'm happy to, once again, participate in one of Bonnie's blog tours for her fabrics. This tour features her most current line for Art Gallery Fabrics, Succulence. You'll find all Bonnie's fabrics, including these, available with free shipping at my quilt shop, A Stitch in Time! And, did you know that I'm blessed to be Bonnie's mother? For the AccuQuilt machine, I cut 10" strips, width of fabric, and found that folding them in half fit perfectly on the die. I layered two dark fabrics and two light fabrics, yielding 4 blocks in about 30 seconds! Some people ask me, "Do you waste fabric with the AccuQuilt?" My answer is, "Maybe a little...but I don't waste any time!" And each piece is cut perfectly, with notches for matching together. This quilt block is 100% curved piecing. Wait! don't leave me! I promise it's easy and I made a short video to show you how easy it is. Click here to view it. The magic happens in this quilt by making two versions of the same block: a dark center with light corners, and a light center with dark corners. The effect is quite entertaining, to me, because my eyes just won't stay still when I look at it! I quilted in the ditch to accent the design, and to keep a soft feel. I used one of Bonnie's voile fabrics for the back to make it extra soft! For now, this one will live on the wall in my sewing room because it just makes me happy...and because it makes me think of Bonnie. Do you have a quilt on your bucket list? Be sure to visit yesterday's post by Ali Brorsen and see her beautifully sewn projects and her angelic model. Tomorrow's stop is Michelle Cain at From Bolt to Beauty. See the full lineup, and read more about the blog hop on Bonnie Christine's blog, Going Home to Roost.